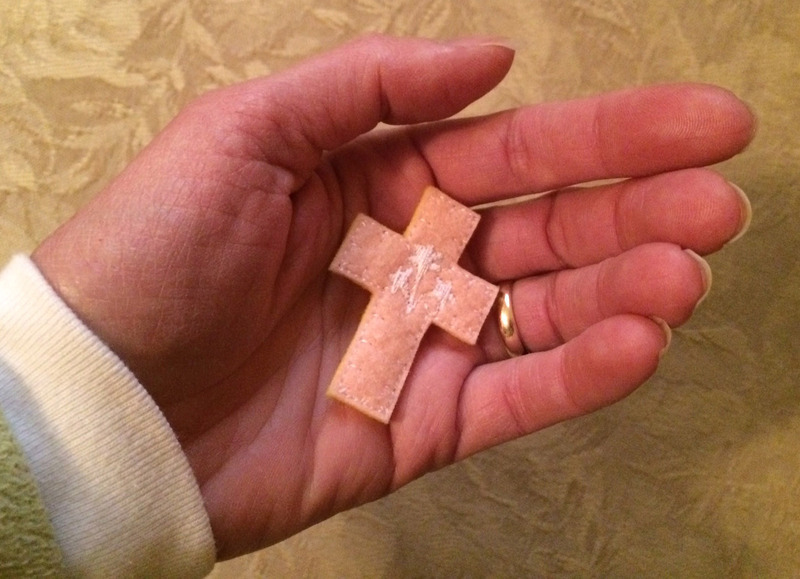 Kristin’s Crosses are original handcrafted pocket crosses. They come in a variety of colors and designs and are proudly Made in America. To accompany the crosses, this site offers tools for everyone to use to Be Brave and Believe. We invite you to visit daily for a little inspiration and to take some time for yourself to pray. There are videos throughout the site for you to use as guided meditation when you have time, or to listen to when you’re busy multitasking. Whatever your religion, we hope that you find these tools to be helpful in strengthening your personal relationship with God…take what fits and leave the rest. I am an artist, a wife, a mother, and a proud cradle Catholic with a simple mission: to remind as many people as I can, in a quiet and discreet way, that they are not alone in this world and that God loves them. Through my handcrafted pocket crosses and this website I am able to do that. I personally make each cross – I design them, sew them, cut them, package them, but most importantly pray for each mystery recipient of them. It is a great pleasure, and a labor of love…for the glory of God and the good of others. My Message: Be Brave and Believe! No matter what our religion, culture, or background, God loves us all equally. Our journeys are all unique, some more difficult than others, but as fellow pilgrims on this earth we are all called to support and encourage each other along the way. Fortunately we don’t have to be “good” or perfect to be loved by God. What we do, how we act, and what we say does not diminish God’s love for us. Feelings of not being likeable or loveable have no bearing on how much He loves us – that would put limits on His mercy and we simply don’t have that power. It’s a great way to cut off people in our lives, but it doesn’t work on God. If one of my kids were acting out, on the wrong path, being hurtful…I would not love them any less, I would be frustrated, maybe offended, but I would still deeply love them no matter what they did or said. Similarly, God will continue to love us despite ourselves-good, bad, or indifferent! When we are ready to swallow our pride then we should go to God and apologize, try to be true to who we really are and then work on making our relationship with Him better. Like a good parent, He really wants to spend time with us! God will always be there when you need Him. He will give you your space. When you call Him He will answer. He will respect your choices. Ask for forgiveness and He will forgive. He will love you beyond the end of time. When you’re ready to talk to Him, all you have to do is knock and He will invite you in no matter what you’ve done. “Herein is love, not that we loved God, but that He loved us” -1 John 4:8. Where Can I Purchase Your Crosses? Why Do You Often Use the King James Version? Unless otherwise noted, Scripture quotations used in posts are from the King James Version (KJV). I use this version on this website and on the printed insert for my pocket crosses because it’s in the Public Domain, and it can be copied and distributed freely.